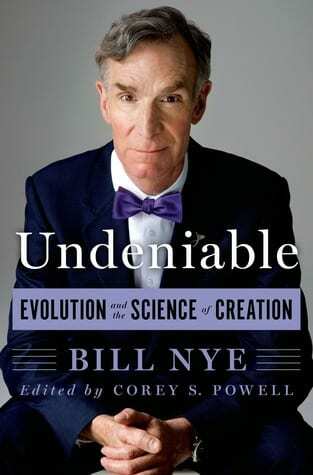 Undeniable by Bill Nye the Science Guy. Nye decided to write this book after debating evolution vs. creationism. This is an excellent book that exceeded my expectations. Man’s understanding of evolution has significantly improved since my high school biology class over 30 years ago (taught by denier). But how are we non-science types supposed to know how much is now understood? Unfortunately, evolution is contested by several religions, so rather than risk confrontation we keep topics like evolution out of our conversations. This book explains evolution and, as Nye had done for decades, makes science accessible and enjoyable. About 80 percent of this book is about evolution, but science knows no boundaries. Nye touches on several related topics including climate change, genetics, immunizations, breeding, space travel, and others that involve understanding cellular mutation, division, and adaptation. I recommend this one for teens and older. What the Dog Saw by Malcolm Gladwell. Enjoyable, interesting, and frustrating. This is a collection of unrelated short stories and essays that generally fall into ‘the other story’ category. He takes an interesting topic that you may be familiar with (say Enron), and then tells the story that you may not know (the dangers of MBAs). Each chapter has some fascinating “oh my” or “wow” turns. For example, the inventor of “the pill” probably blew it by adapting his invention to the Christian right – really. There are some great nuggets throughout the book such as the dangers of generalizations or the difference between managing and solving problems. The frustrating aspect of What the Dog Saw lies in Gladwell’s indirect approach to storytelling. There are so many nested detours that it is easy to forget what the story is about. This book reminded me of Freakonomics because both bring the hidden into the obvious. The difference is Freaknomics is written by economists and mathematicians that start with a clear point and then explain it. Gladwell buries his points and arguments in anecdotes that appear loosely coupled to the topic at-hand. I suggest reading this book with a highlighter. Down, Don’t Bother Me by Jason Miller. I was time for a little fiction, and I saw Polycom co-founder Jeffery Rodman recommend this one via tweet. This is a who dunnit, thriller that takes place in coal country. It certainly isn’t a bad book and has a few surprises, but it didn’t seem nearly scientific or nerdy enough for Rodman’s unsolicited endorsement. I figure he most know or be related to Mr. Miller. Regardless, it’s a solid effort. File under Mental Floss, actually I think it would make an excellent movie. My only complaint was the main character (Slim) was very clever in his word choices – more than I’d expect of this uneducated coal miner. But then I’ve never met any coal miners.